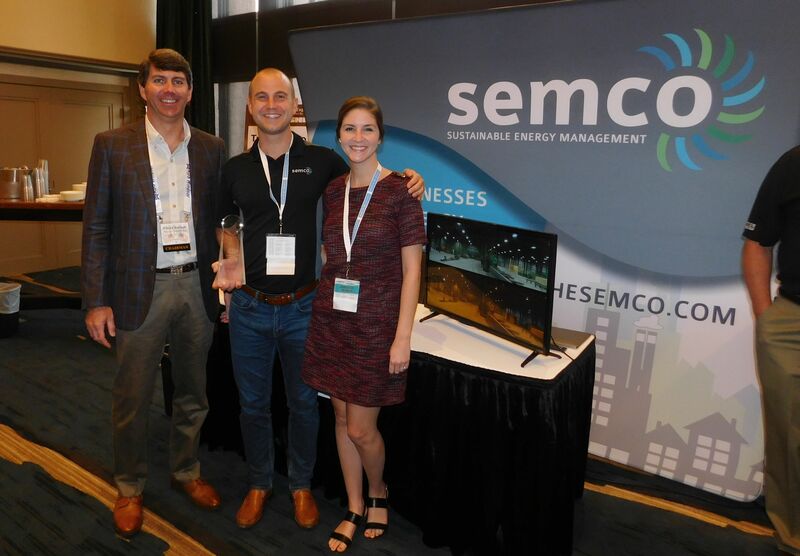 Tyrone, GA - The Southeastern Lumber Manufacturers Association (SLMA) held its 56th Annual Conference at the Park Hyatt in Beaver Creek, Colorado. SLMA Chairman Patrick Harrigan of Harrigan Lumber Company welcomed 475 attendees to the beautiful Rocky Mountains for fellowship and festivities. 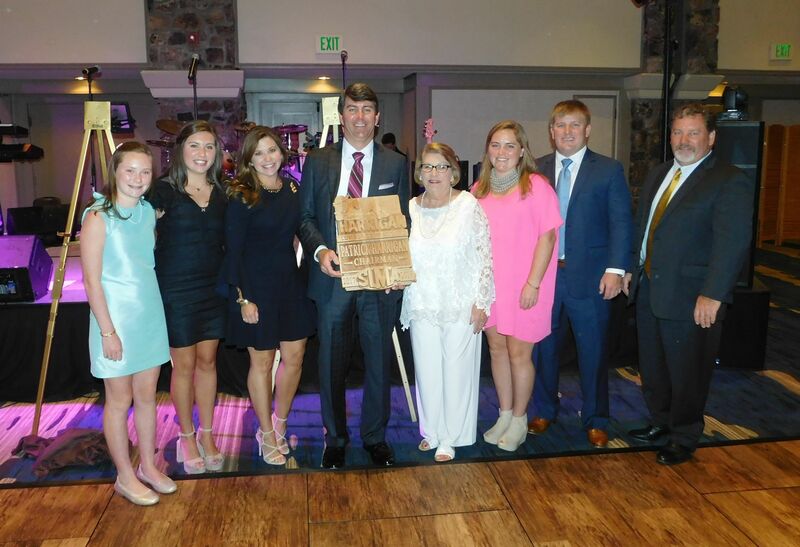 Patrick Harrigan accepts his Chairman's Award surrounded by his family. The Annual Conference kicked off with a variety of activities. 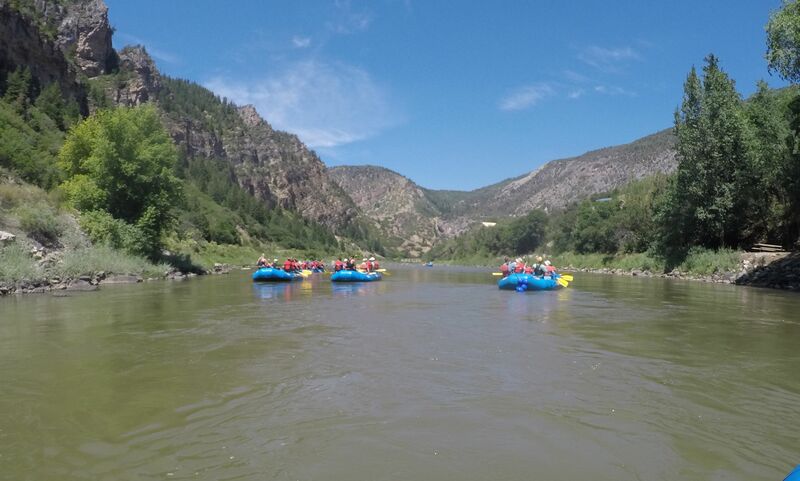 Along with our usual outings of golf, fishing and shooting, over 150 family and friends chose to brave the white waters of the Colorado River on a rafting trip. 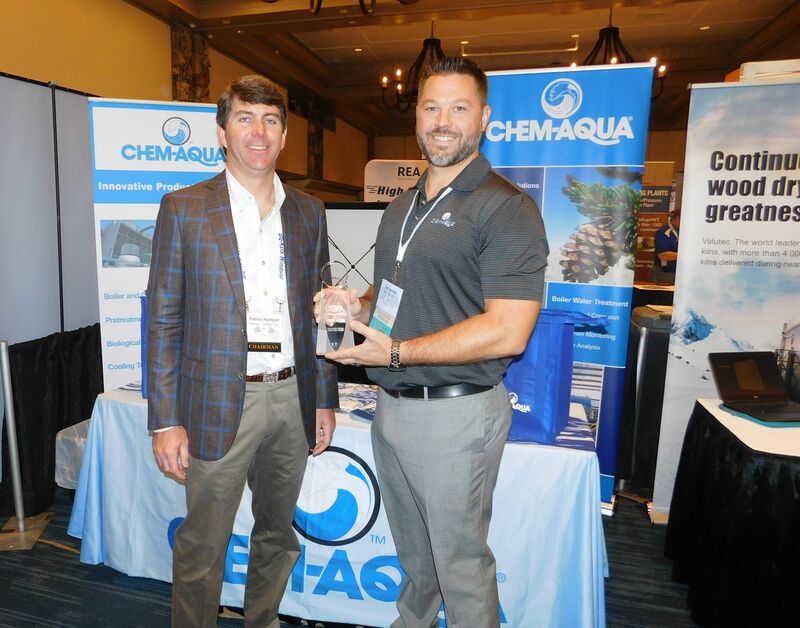 A sold-out trade show featuring over 40 exhibitors highlighting the latest industry technology and services proved to be quite the draw for all attendees. The future looks bright as our Young Lumber Professionals Lounge raised funds to support SLMA's new leadership activities. 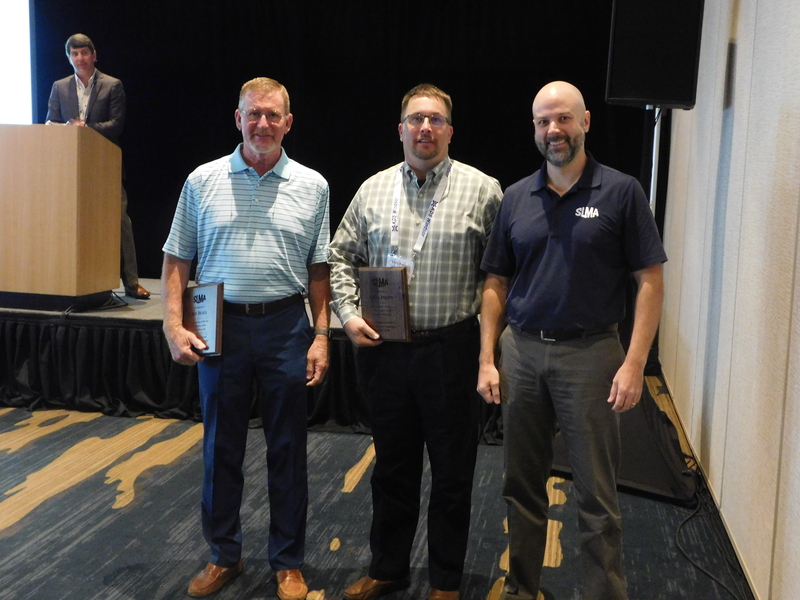 During the SLMA Business Meeting, the membership voted to approve Bob Cook of Great South Timber & Lumber, Lake City, FL; Ricky Stanley of T.R. Miller Mill Co., Brewton, AL; and Jim Langdale of Langdale Industries, Valdosta, GA, to the Board of Directors for a three year term. Directors from 2015 to 2018. Pictured with SLMA President Bryan Smalley (right). 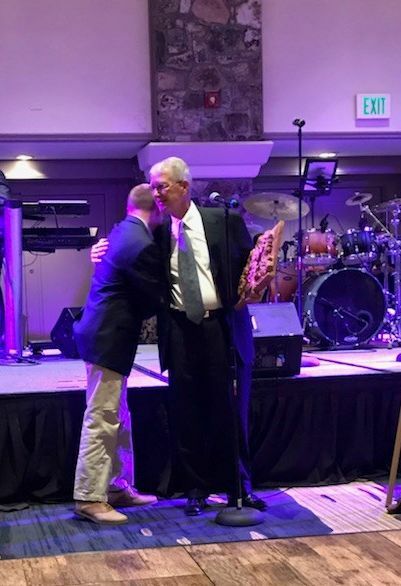 At the Chairman's Gala, SLMA was able to honor the industry devotion of Furman Brodie of Charles Ingram Lumber Company, with the presentation of the famed SLMA Beal Award. Systems, for always being a source of happiness and inspiration. 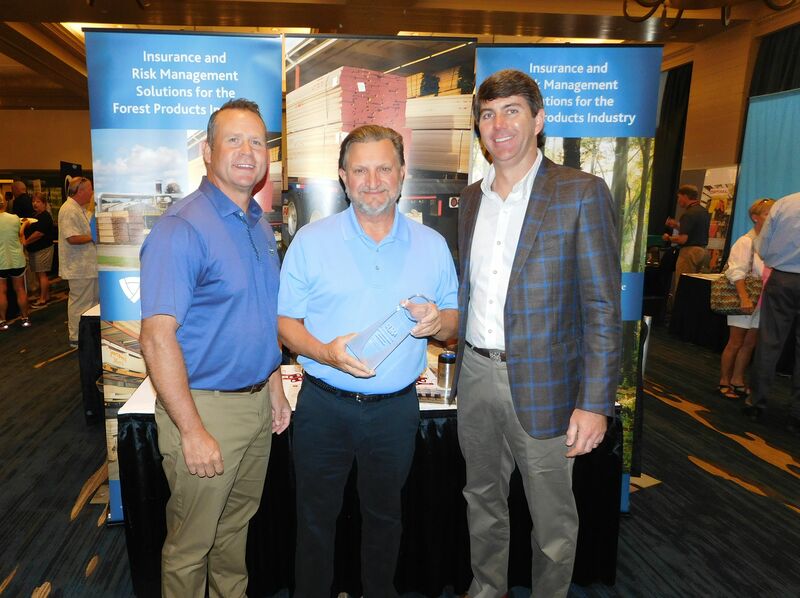 The week closed with the "Passing of the Gavel" ceremony, where Fred Taylor of Troy Lumber Company, Troy, North Carolina, was welcomed as the 2018-2019 Chairman of the Board. Click here to view all photos from the Annual Conference!